I am able to hear at church much better even though the sound system is poor. While teaching Bible Study, I hear the questions and communicate much better with the group. No problems with the cell phone as in the past. I have never worn hearing aids before. (It took much pleading from my family to try them). Recently I had an experience that made me realize I was missing things socially. So……I tried them. They are wonderful – I was so surprised and pleased. They don’t show, I can now hear and as a side benefit my tinnitus is significantly reduced!! My new hearing aids are superior to any I have used in the past. Speech comprehension and clarity of sounds are making my life more fulfilling. Crowds are no longer a challenge for me. I had the feeling I wasn't ready for hearing aids yet, but now I am glad that I got them before my hearing got too greatly impaired. I am hearing better with the TV and at church. My husband is hearing very well with his new hearing aids. 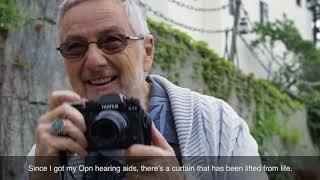 He previously only used one hearing aid but with the two, it has made a great difference. I do not have to repeat myself! I wouldn't want to be without them! At social events, I hear everything now. They are just great! 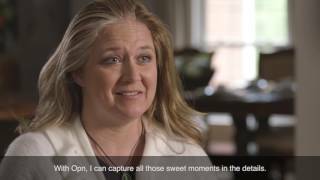 I have been a client of Lifestyle for almost 10 years and worn hearing aids for 40. I've had lots of different dispensers in that time and Mary and crew are at the top. I've purchased several sets of aids from her and "I" am always her top concern, when I have had a problem they work really hard to fix it. I highly recommend Lifestyle Hearing and have to several friends. 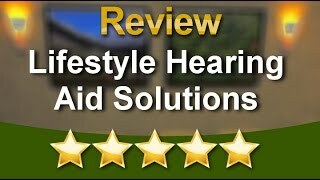 Mary & her staff at lifestyle hearing are very welcoming and will accommodate all your hearing needs. They were very supportive in making sure I got the latest technology hearing aid and was able to return it and get me a new one when some of the features didn't work to my liking. No questions asked... Customer satisfaction is their #1 priority and it shows by their service.